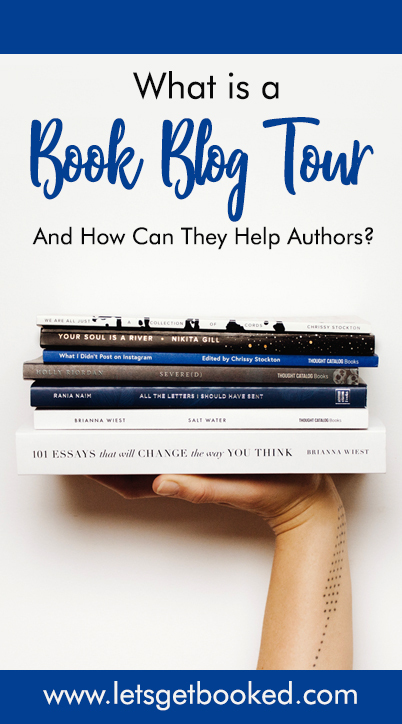 What is a Book Blog Tour and How can it Help You As An Author? Every other day I get messages from people wondering how they can market their book after publishing. There are many ways to get the word out there about your book, but taking part in a book blog tour is one effective way of boosting the buzz around your book at launch time or even months after publication. 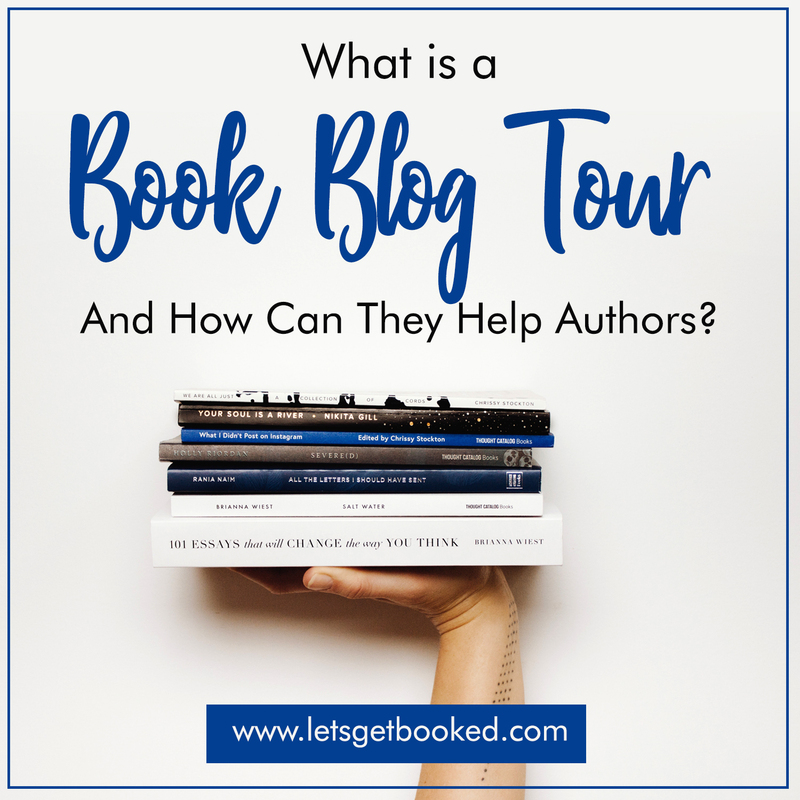 I am part of numerous book groups on Facebook and a lot of authors still seem to be unaware of what a book blog tour is and what it can do for them. I have created book blog posters for Anne Cater of Random Things Tours for quite some time now, so I decided to invite Anne onto the blog so she could answer some questions and make things a little clearer for anyone thinking of participating in a tour. Hi Anne, it’s great to have you on my Let’s Get Booked blog. Hi Amanda, thanks so much for inviting me, it’s an honor. For anyone who doesn’t know, can you explain what a blog tour is in simple terms? A blog tour is a virtual tour, by an author, around a number of blogs. The book will be featured on a different blog over a number of days. Each blogger will produce their own individual piece about the book; it could be a review, an interview, a guest post written by the author, an extract from the book or a competition. What is the purpose of a blog tour? Exposure for the book and for the author. Whilst it would be fabulous if sales of the book increased during a tour, it’s impossible to judge the sales effect of a tour. What we do know is that the book will get lots of publicity during a tour as all of the bloggers on a tour will share each post on various social media platforms. What is the biggest misconception out there about blog tours? The biggest misconception is that bloggers are paid to take part. No money changes hands between authors/publishers and bloggers. The organizer will be paid for the actual administration involved, but bloggers take part voluntarily. A lot of people think that bloggers are told that they must only post four and five-star reviews during a blog tour. Whilst of course, higher starred reviews arefavorablee, constructive critical reviews are welcomed too. Do you recommend them to authors for older releases too? I do, and have organized quite a few tours for books that have been published for a while. There are many reasons for this; the book may be re-packaged with a new cover, or published by a different publisher. The author may have had some success with a more recent book and would like to draw attention to their back catalogue. If someone would like to book a blog tour with Random Things Tours, how can they do so? Thank you to Anne for such an informative post. If you found it helpful please consider pinning the image below or sharing the post on your social media.